Wood chippers are extremely powerful and efficient machines that allow landscapers and cleanup crews to remove and dispose of trees, bushes and other yard waste in a quick and cost effective manner. They are also capable of causing devastating injuries to workers when they are not used properly or they fail to operate safely due to a defect or design flaw. The Chicago product defective liability attorneys of Rosenfeld Injury Lawyers LLC represent the rights and interests of anyone who has been severely injured because the machinery they were operating did not perform in the manner advertised or intended. 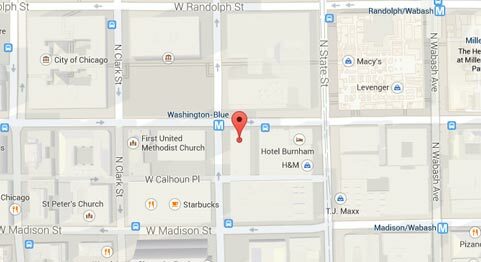 There are numerous ways that a defective machine can injure operators and those in the surrounding area. The following examples are only some of the most common injuries that can occur due to defective designs or materials. Injuries to the eyes or face that result when debris passes through or past a defective safety guard. These injuries can be devastating, resulting in permanent disfigurement or blindness. Loss of limb or digits. 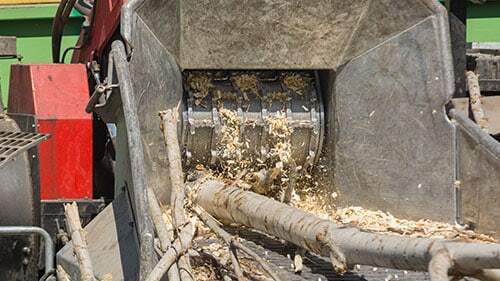 Wood chipper defects can result in the loss of an arm or leg, or one or more fingers when the victim’s hand is caught in the device. Traumatic brain injuries. If the chipper launches debris at a high velocity and the worker is struck in the head, it may cause long term and permanent brain damage. Sometimes it can take time for symptoms of a traumatic brain injury to surface and by this time, the damage is usually irreversible. Emotional anguish. The nature of these injuries is often so severe that survivors suffer mental and emotional suffering long after the events have occurred. If they have been disfigured or suffered from permanent disability, this could also impact their sense of self-worth and value when they are no longer able to support their families in the way they once could. Lacerations. Deep lacerations suffered from wood chipper accidents can be very serious. In addition to the need for immediate medical attention, these wounds can become infected by the bacteria commonly found in the wood and debris that has been processed. Injuries suffered in wood chipper accidents are extremely violent and it is possible for the victim to die of his or her wounds. When this happens, a family is left behind without a breadwinner, mentor and companion. A wrongful death claim can help you recover compensation to replace his or her financial contribution to your family and to help with the mental and emotional suffering that has resulted from your loved one’s passing. While it is never possible to replace someone that you care about, a wrongful death claim can ease the transition and help your family move on without worrying about how to make ends meet. If you or a loved one’s injuries could have been prevented through better workplace safety practice or the provision of personal protection equipment, it may be possible to file a claim against the employer in addition to your claim against the manufacturer of the defective machinery. This often allows you to recover the compensation you need to cover any discrepancies between your losses and what you were able to recover from the manufacturer. Rosenfeld Injury Lawyers LLC is an award winning personal injury law firm that has successfully recovered compensation on behalf of thousands of injured workers. If you have been injured due to a defective wood chipper accident, our Chicago workplace accident attorneys may be able to help you recover the compensation needed to cover your medical bills, out of pocket expenses, lost wages, pain and suffering and permanent disability. Contact us today to arrange a free consultation so that we can review your legal options and avenues to secure the compensation you deserve.